You won't catch me on this hamster wheel desk, posted on Instructables and recently featured by Fast Company. There's no way. At every turn, I've railed against the "rat race" and any form of traditional work that makes me feel like a cog in a wheel. 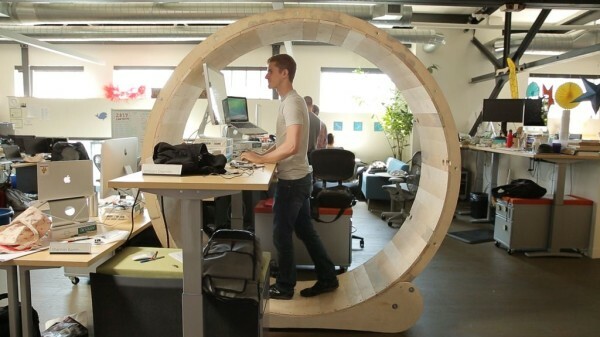 Nothing says "I'm a part of the rat race" more than working on an actual hamster wheel for a desk. And that's why you won't catch me on it.